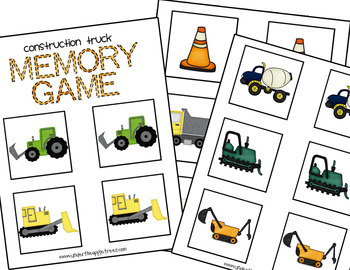 This is a little construction truck memory/matching game that I made for my son. I never really got around to making a TPT store but I will leave this here in case anyone wants it! Just print, cut, and play!